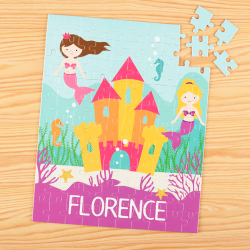 Challenge And Entertain Kiddos With Fun Personalized Puzzles! 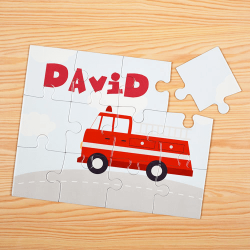 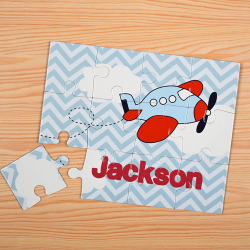 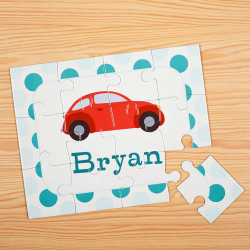 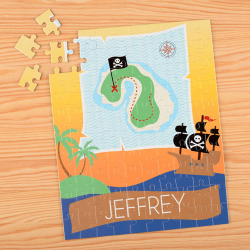 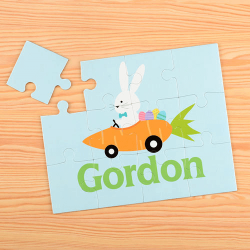 Expand your child's imagination with our personalized puzzles. 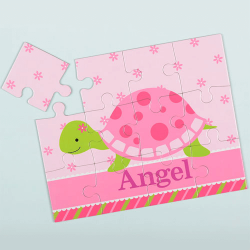 Our customized jigsaw puzzles make wonderful personalized gifts that children will enjoy. 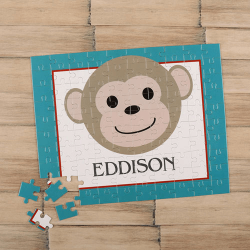 Puzzles help children develop cognitive skills, hand-eye coordination, fine motor skills, problem solving and better yet our personalized puzzles promote name recognition, encourages self-confidence and a sense of accomplishment. 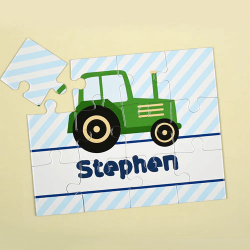 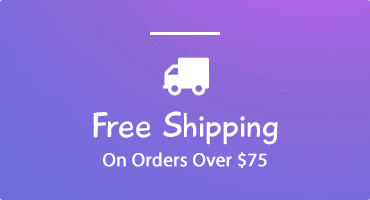 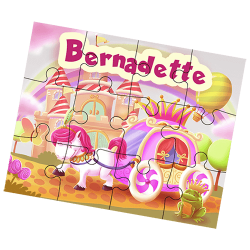 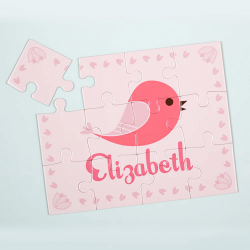 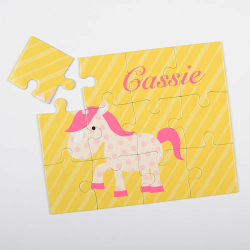 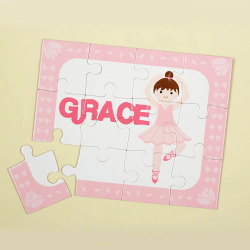 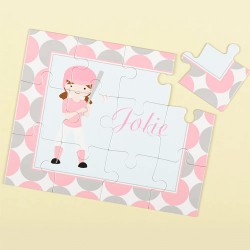 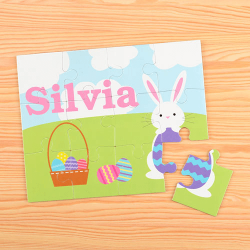 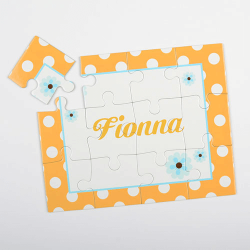 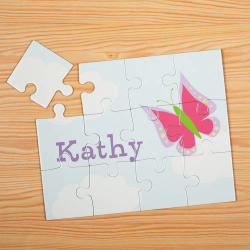 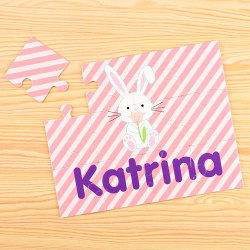 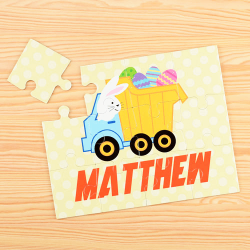 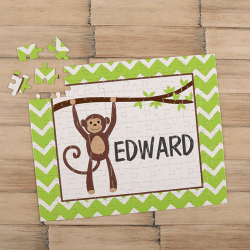 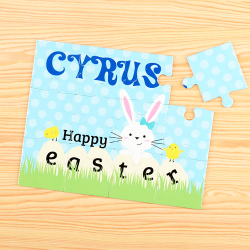 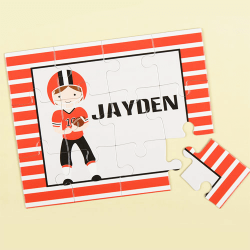 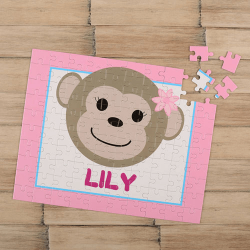 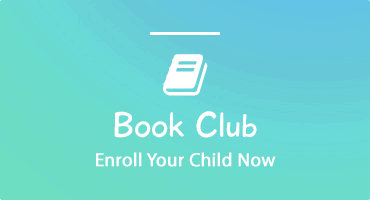 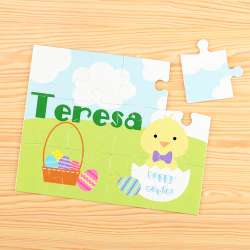 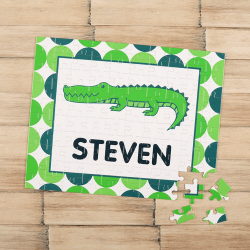 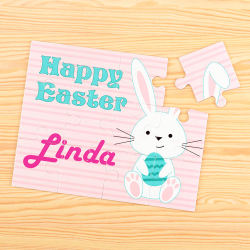 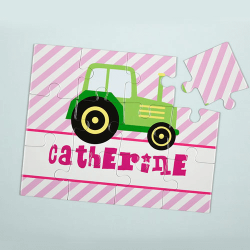 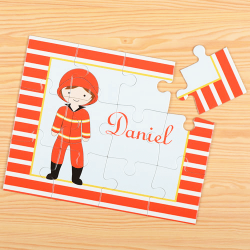 Our personalized children's puzzles are 8 x 10 and made in sturdy cardboard with a laminate glossy finish and come in 12, 50 or 100 piece set ideal for kids of all ages from beginning to advanced. 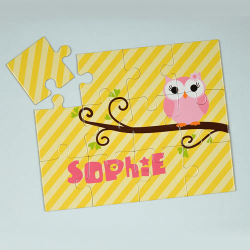 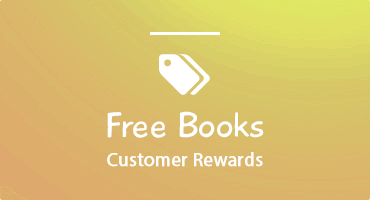 To really capture a child's interest in puzzles we have many themes to choose from. 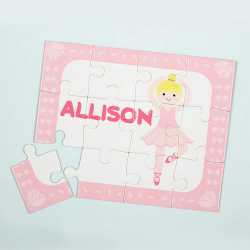 From ballerinas, sports, animals, to superheroes, they will sure enjoy seeing their name as they complete the beautifully illustrated puzzle. 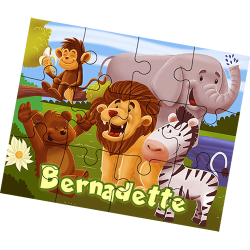 Our puzzles provide hours of entertainment and delight that children will want to play again and again.